Oh, hi there. Yoohoo. Yes, you, total stranger, quietly minding your own business, enjoying your latte and scone. Would you like to see my sonogram picture? How about my 3-D ultrasound? Do you see how much the baby has his/her father’s nose? Don’t you think he/she looks intelligent? Musical, even. I see a trombone in his/her future, don’t you? Ah, oversharing. We talked about it Thursday morning, and it sparked a great discussion. My perspective on this has changed 180 degrees since I became pregnant. I’ve always enjoyed seeing ultrasounds from my good friends and family before I was pregnant. But I confess, I couldn’t pore over them and coo and ooh and ah with any sustained enthusiasm. “What an adorable grainy image!” somehow fell flat. I think/hope I haven’t crossed the line into annoying territory, but I will say that this is just one of the many ways pregnancy has changed my perspective. It's not just the oversharing issue. I find I have a much better appreciation for how exciting and all-consuming the experience of expecting a baby is. Now that I know, I wonder if I could have been a more attentive friend all these years when my girlfriends were going through it. I have always been happy and overjoyed to welcome their little ones (and don’t get me started on my nieces and nephew — obsessed is not too strong a word to describe my devotion). But I have a new perspective and interest and understanding of what parents-to-be are going through. And when people are interested in our little baby, I’m really thankful and surprised that they seem to care so much. 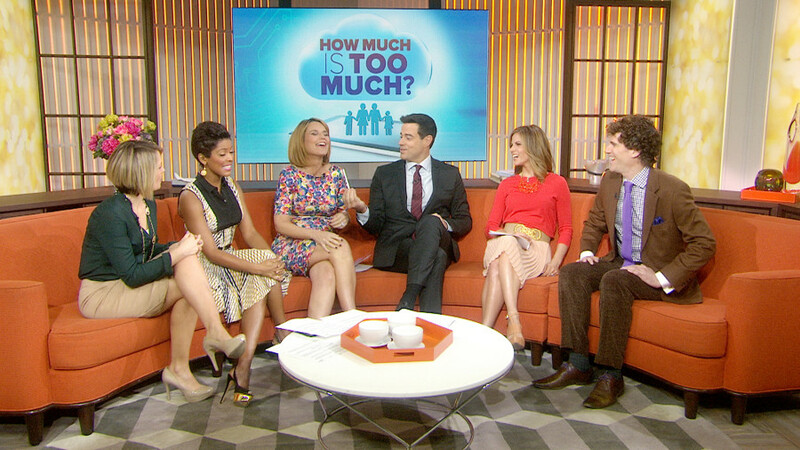 Check out our poll numbers to see when TODAY viewers think sharing… becomes OVERsharing. And tell us: When it comes to pregnancy and parenting, what do you share and what do you hold back? Keep up with Savannah's pregnancy blog: Read her previous posts here.